Greetings from the " Himalayan Kingdom" of Nepal. A country of amazing extremes with the highest point on earth Mount Everest 8848 meter to the forested plains of the Terai. Nepal the land of medieval cities, where time stands still. Fast flowing rivers and rapids where white water rafting becomes a challenge so daring. A country with exotic flora & fauna, a bird watcher's dream and a home to the unique one horned rhino and the royal Bengal tiger. A place where temples and cultural diversity so large. It simply takes your breath away or to watch, explore, trek or just simply watch the sun go down in all its grandeur on the Himalayas…. One visit will surely ask for more and … . More …. Location : Between India & the Tibetan autonomous Region of the peoples Republic of China. Latitude: 260 12' and 300 27' North. Longitude: 800 4' and 880 12' East. Political System : Multiparty Democracy with Constitutional Monarchy. Topography: From the world's deepest gorge 'Kali- Gandaki' to the highest point on earth, Mt. Everest. At 8848 meter. Nepal Standard Time is 5 hours 45 minutes ahead of Greenwich Mean Time (GMT) and 15 minutes ahead of Indian Standard Time (IST). Major towns in Nepal have electricity and the voltage available is 220 - volts and 50 cycles. Load shedding is sometime experienced in Nepal. 840 different species of wetland, migratory and residential birds. 8% of the world's population of birds. 11 of the 15 butterfly families in the world. 2% of the flowering plants. 4% of mammals on earth. Home to Endangered Species Like Royal Bengal Tiger, one horned rhino, snow-leopard, Red panda, Brown bear, Assamese macaque, Gangetic dolphin, wolf, wild elephant, giant horn-bill, swamp deer, wild yak, Tibetan antelope, Black buck, four horned antelope, Musk deer, Pigmy hog, Haspid Hare, Pangolin, Gharial, Indian bustard, Saras crane, Impean pheasant, Python, etc. Nepal has a typical monsoonal two - season a year. There is a dry season from October to May and there is the wet season, the monsoon, from June to September. September - November, the start of the dry season, is in many ways the best time of the year in Nepal. When monsoon just ends, the countryside is green and lush. Nepal is at its most beautiful and during this season there are plenty of colorful festivals to enjoy. A Living Cultural Heritage Nepal's heritage is alive and dynamic. Shamanism, Pan-animism & witchcraft are still practiced in remote regions. Temples, shrines, monuments and monasteries are extremely active with devotees burning butter-lamps, singing hymns, chiming temple-bells and playing drums. The only country that has living goddess "Kumari". Nepal's 21 milion population is comprised of diverse ethnic groups having their own languages and cultures. The Newars, who are acclaimed for their unique artistry and culture, dominate the Kathmandu Valley, whereas the Sherpas, who are renowned more for their mountaineering skill, inhabit in the northern mountains. Brahmins and Chhetris, two of the nation's most dominant communities, are almost everywhere, and the Tamangs, Rais, Limbus, Magars and Gurungs - the ethnic groups known more as brave Gurkha soldiers - dwell mostly in mid-hills. Maithili, Tharu, Bhojpuri and other ethnic communities have their dwellings in the Terai plains. Nepal has always been a dividing line between civilization and cultures, and a cross roads for the flow of commerce and culture between them, where the plains of the subcontinent climb up to the high plateau of Tibet, the languages and people of India give way to those of China and the Hindu religion blends into Buddhism. Nepal, the land at the margin, is often a complex blend of the two influences and this variation is further complicated by the diversity of ethnic groups within the country. Religious practice is an important part of the Nepalese way of life. Two main religions are dominant in Nepal: Hinduism and Buddhism. Hinduism is made up of thousand of gods and goddesses. Brahma, Vishnu and Shiva are three major Gods, but each has a complex tapestry of manifestations and incarnations. Each deity also has a vehicle, which is often seen kneeling faithfully outside the shrine. Buddhism is the second major religion in Nepal. Shakyamuni Buddha, who was born in Nepal around 6th century BC, is the founder of Buddhism. The great Buddhist Stupas of Swayambhunath and Boudhnath in the Kathmandu Valley are among the oldest and most beautiful worship sites in Nepal. Nepali, like Hindi, is written in the Dev-nagari script. It is Nepal's national language, apart from being the lingua franca of the country's divergent communities that speak mutually unintelligible language and dialects. English is also widely spoken and understood in urban areas. In Tourism sector people speaks English, Japanese, French, Spanish, Italian, Chinese and other foreign languages. The form of the greeting in Nepal is " Namaste " and is performed by joining the palms together. Before entering a Nepalese home, Temple, and Stupa remember to remove your shoes. Be careful not to use your spoon, fork or a hand being used for your eating to touch other's food, plate, cooking utensil or the serving disk. Do not eat from other people's plate and do not drink from other people's bottle or glass. It is considered impure by the Nepalese. Never touch anything with your feet. This is considered an offence among Nepalese. While traveling dress appropriately. Women should especially avoid dressing in skimpy, outfits. Seek permission first before entering a Hindu temple many Hindu Temple do not allow westerners or non -Hindus to enter. Leather articles are prohibited to be taken inside the temple precinct. Walking around temples or Stupas is traditionally done clockwise. Take photographs only after receiving permission for the object or person being photographed. Public display of affection between man and woman are frowned upon. Do not do something that is totally alien to our environment. Remember, many times, when a person shakes his head from left to right, he may mean, " yes". Develop a genuine to meet and talk to Nepalese people and respect their local customs. Please do not touch offerings or persons when they are on the way to shrines or are in the process of worshipping. Keep a respectful distance. Please do not accept as gifts or buy objects of art, manuscripts, images etc. Which have antique value. These need to stay here not only for ourselves but for future visitors like yourself who would like to share the experience. Whether something is antique or not can be established by the Department of Archaeology. Please be informed that Nepalese men often walk around hand in hand, but this does not have the same implication as it does in Europe, America or other developed country. Please do not inquire about a person's caste. For centuries, Nepal was made up of many small kingdoms. Kirats ruled in the east, the Newars in Kathmandu valley, while Gurungs and Magars occupied the west. The Kirats ruled from 300 BC and during their reign, Emperor Ashoka arrived from India to build a pillar in Lumbini to commemorate Lord Buddha. The Kirats were followed by the Lichhavis and then came the Mallas. During the Malla period, art thrived in the Valley, and most of the monuments are from this time, In the 18th century, Prithvi Narayan Shah, king of Gorkha conquered the Kathmandu valley and until 1951, the country remain closed for outside world. The Kingdom of Nepal covers an area of 147,181 square kilometers, and stretches 145 to 241 kilometers north to south and 850 kilometers west to east. The country is located between India in the south and China in the north. At latitudes 26 and 30 degrees north and longitudes 80 and 88 degree east, Nepal is topographically divided into three regions. The Himalaya: The Himalayan range makes up the northern border of the country and represents 16% of the total area of Nepal. Peaks like Mt. Everest (8848 m.) Kanchen Junga (8598 m.), and Dhaulagiri (8167 m.) are found here and sparse vegetation is found up to 4,500 m. Some of the Nepal's most beautiful animal and plant-life are also found here. Although rare, the snow leopard and Danphe bird are much talked-about sights among visitors. The people in this region produce and sell cheese besides working as mountain-guides and porters. Many also trade Tibet and across the boarder to sell their gods. The Terai: The Terai - Low Land covers 17% of the total land area of Nepal. It provides excellent farming land and the average elevation of flatlands is 100 to 300 m. above sea level. In the sub-tropical forest areas of Terai are found, marshes and wildlife, which include the Royal Bengal tiger, one horned rhino, and the Gharial crocodile etc. About 48% of the country's population occupies this region. Flat farmlands and the region's flexible topography have given rise to many industries. TRAVELING BY ROAD: All visitors entering Nepal by land must use no other entry points other than (1) Kakarbhitta (2) Birgunj (3) Belhiya, Bhairahawa (4) Nepalgunj (5) Dhangadi (6) Mahendra Nagar in the Nepal - India border and (7) Kodari in the Nepal - China border. 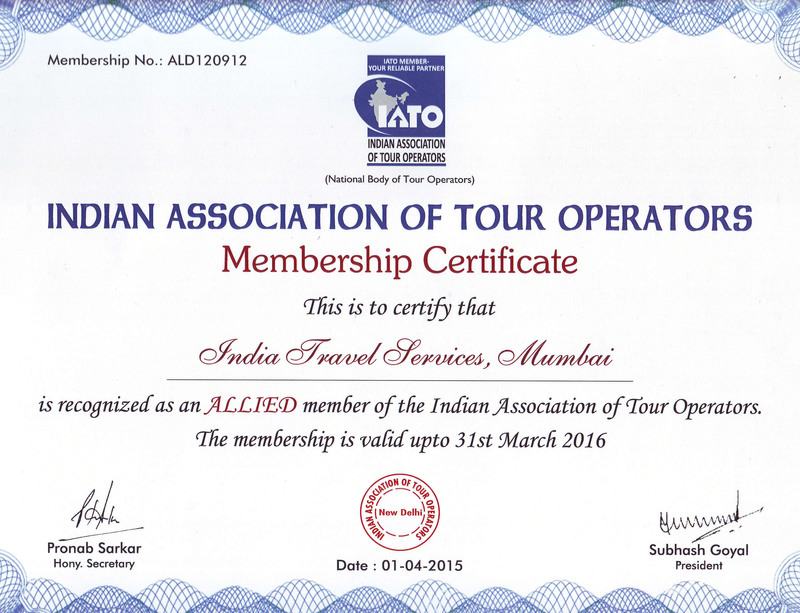 The overland tourists entering the Kingdom with their vehicles must possess an international carnet. You can fly directly to Kathmandu from London, Paris, Frankfurt, Vienna, Amsterdam, Moscow, Osaka, Shanghai, Bangkok, Hongkong, Sharjah, Dubai, Dhaka, Karachi, Abu Dhabi, Bahrain, Doha, Paro, Lhasa, Singapore, Delhi, Mumbai, Patna, Calcutta, and Varanasi. Charter flights can also be arranged for large movements. All flights feature business class and amenities of international standards. 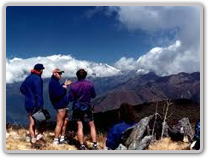 Many a time, the Capital offers a guided sightseeing of the Himalaya for no extra charge. CUSTOM: All baggage must be declared and cleared through the customs on arrival at the port of entry. Passengers arriving at Tribhuvan International Airport, Kathmandu (TIA) without any dutiable goods can proceed through the Green Channel for quick clearance without a baggage check. If you carrying dutiable articles, you have to pass through the Red channel for detailed customs clearance. IMPORT: Apart from used personal belongings, visitors are allowed to bring to Nepal free of duty cigarette (200) or cigars (50), distilled liquor (one 1.15 liter bottle), and film (15 rolls). You can also bring in the following articles free of duty on condition that you take them out with you when you leave: binoculars, movie or video camera, still camera, laptop computer, and portable music system. EXPORT: It is illegal to export objects over 100 years old (sacred images, paintings, manuscripts) that are valued for culture and religious reasons. Visitors are advised not to purchase such items as they are Nepal's cultural heritage and belong here. The Department of Archaeology has to certify all metal statues, sacred paintings and similar objects before they are allowed to be sent or carried out of the country. AIRPORT TAX: Passengers departing from the Tribhuvan International Airport Kathmandu (TIA) are required to pay an airport tax of Rs. 770.00 if going to SAARC countries (Bangladesh, Bhutan. India, Maldives, Pakistan and Sri Lanka) and Rs.1100.00 to all other international destinations. Domestic airport tax is Rs. 165.00. The single entry tourist visa can be obtained from the entry points of Nepal or from the Royal Nepalese diplomatic mission abroad by paying US$ 30 for single entry for 60 days. If visitors who wish to obtain the facility of multiple re-entry, they can get it by paying additional US$ 50.00 . If the visitor, who has already visited Nepal under tourist visa, intends to come again within 150 days of the same visa year he/she can obtain entry visa by paying US$ 50 for 30days at the entry point or at the Royal Nepalese diplomatic missions abroad. The visitors who wish to stay from more then 60 days in the Nepal can extend their tourist visa by paying the equivalent of US$ 50 in Nepalese currency for 30 days from the Department of Immigration. Business visa with multiple entry facility for the period of one year and five years can be obtained from the Department of Immigration on the recommendation of Ministry of Industry by paying the equivalent of US$ 100 and US$ 250 respectively in the Nepalese currency for the foreign investors. Visitors from six SAARC countries ( India, Bangladesh, Pakistan, Srilanka, Maldives, Bhutan) will not require visas to travel Nepal. Chinese tourists also will not need visas to travel Nepal. Tourists from rest of the country visiting Nepal for three or less days will not need visas( Need confirmed Return ticket). Visa fee has been waived to those tourists re-entering the country within one year of 15 day long stay in Nepal. Royal Nepal Airlines (RA) has an extensive network of air services in the interior of Nepal. Besides RA, other domestic airlines (there are more than a dozen operation these days provide regular and charter services to popular domestic destination. Private companies also operate helicopter services for rescue, sling operations, transporting heavy cargo and food grains, serial photography, sightseeing, heli-trekking and heli-skiing. Nepal's domestic air service is known to be punctual and reliable. Domestic airport tax is Rs. 165.00. Major banks, hotels, and the exchange counters at Tribhuvan airport provide services for exchanging foreign currency. US dollar or travelers' checks can be purchased from American Express at Durbar Marg and other Major banks in Kathmandu. Banks in Kathmandu are open 10 AM to 3 PM Monday through Friday except public holidays. Nepal dose not require any particular Immunization for your visit. Vaccinations for Cholera, Meningitis, Tetanus & Diphtheria, Typhoid and Gamma Globulin should be considered for your Trip. Please consult your physician and get a complete check - up before your departure. Aspirin or Panadol - for pain or fever, Antihistamine - useful as a decongestant for colds, allergies, to ease the itch from insect bites and stings or to help prevent motion sickness, Antibiotics - useful if you are traveling off the beaten track but they must be prescribed, Kaolin preparation (Pepto-Bismol), Imodium or Lomotil - for stomach upsets, Dehydration mixture - for treatment of severe diarrhea, Antiseptic, Mercurochrome and antibiotic powder or similar 'dry ' spray for cuts and grazes, Calamine lotion - to ease irritation from bites or stings, Bandages and Band-Aids - for minor injuries, Scissors, tweezers and thermometers, Insect repellent, sun block, suntan lotion, chopsticks and water - purification tables, Throat lozenges (Strepsils), Moleskin, Eye, nose and ear drops, Acetaminophen (Paracetamol), Antacid tablets. Milk should be treated with care, as it is often un-pasteurized. Boiled milk is fine if it is kept hygienically and yoghurt (Milk curd) is usually good. Tea or coffee should also be Ok since the water would have been boiled. Salads and fruit should be washed with purified water or peeled where possible. Ice cream is usually OK if it is a reputable brand name. But beware of ice cream that has melted and been refrozen. Thoroughly cooked food is the safest but not if it has been left to cool. Stomach upsets are the most likely travel health problem but the majority of these upsets will be relatively minor. Wash your hands frequently, as it's quite easy to contaminate your own food. You should clean your teeth with purified water rather than straight from the tap. Avoid climatic extremes: keep out of the sun when it is hot, dress warmly when it is cold. Avoid potential diseases by dressing sensibly. You can get worm infections through bare feet. Try to avoid insect bites by covering bare skin when insects are around, by screening windows or by using, insect repellents. Nepal is 5 hours 45 minutes ahead of GMT and 15 minutes ahead of Indian Standard Time. Government offices are open from 9 am to 5 pm from Monday through Friday. Banks are open from Monday through Friday from 9.30 am to 3.00 pm( * Outside Kathmandu valley Sunday through Friday). Please be informed that most Business offices are open from 10 am to 5 pm. Embassies and international organizations are open from 9 am to 5 pm Monday through Friday. Most shops open after 10 am and close at about 8 pm and are usually closed on Saturdays. SATURDAY IS PUBLIC HOLIDAY IN ALL OVER NEPAL. SATURDAY & SUNDAY IS PUBLIC HOLIDAY IN KATHMANDU. All the travel agencies have licensed English speaking guides. However, many agencies also have guides who can speak other international languages for the convenience of tourists. As unlicensed guides are not allowed to serve clients, it is advisable to confirm that your guide has a valid license. To have quality service it is recommended to arrange the sight-seeing programs or trekking-tours only with licensed guides or government registered travel agencies. 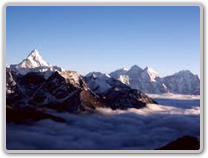 Nepal has every category of accommodation facilities. These range from the international standard star hotels to budget hotels and lodges. In order to have an assured quality service, it is advisable to use the facilities and services of government registered hotels, lodges, and travel agencies and always engage with a licensed tour guides for your tours, trekking and other holiday activities. Kathmandu is also known as Shopper's paradise. Your shopping experience can be very rewarding and exciting in Kathmandu. There are numerous tourist shops on the main streets and in the Hotel arcades, packed with tempting jewelry, statues and other typical Nepalese handicraft. Thangka - a traditional painting on cotton, based in Buddhist philosophy, Nepalese Pashmina, Wood Carving, Metal Statues, Stone Statues and the items on Nepalese hand made papers are the best buy in Nepal. One can also enjoy the City's numerous traditional markets that overflow with vegetables, fruits and other items. A NOTE OF CAUTION: There is an export ban on certain items. Antiques can be taken out of the country only with special permission granted by the department of Archaeology. Arrive Kathmandu. Meet at the airport and transfer to hotel. The tour manager will give pre-tour briefing. Rest of the day is leisure. Overnight at the hotel. Early morning breakfast is served and take 2 hours of drive to the raft put in point. White water rafting in Trishuli river- over crashing waves and swirling rapids for the excitement of a lifetime. After lunch drive to Chitwan National park for exclusive jungle safari. Upon arrival meet by the naturalist and transfer to the jungle resort. The manager will brief the guests about the activities. In the late afternoon, the guests will be taken for a jungle safari on elephant back so that they can penetrate deep into the jungle for viewing and photographing wildlife or a jungle walk is organized to experience the abundant bird life and the flora & fauna for the park. If you are lucky, you may see the elusive Royal Bengal tiger both on nature walk as well as on elephant safari. A hearty meal of continental or Nepalese cuisine will be served in the evening around the campfire. O/N at jungle resort. Early morning guests will be mounted on Elephant back and taken for a Jungle for a 2-3 hours penetrating through dense grassland to view wildlife. This grass commonly known as Elephant grass is dense and grows to a height of 18-20 ft.. It is the favorite habitat of the rhinoceros and other mammals. After breakfast , the guests are taken to our elephant stables where the senior naturalists will give a talk about the habitats of the elephant. Here one may witness the rare scene of the elephant at bath. Afternoon free to relax. Evening dinner served around the camp fire followed by Tharu stick dance. O/N at Jungle lodge. After breakfast, guests will be transferred to waiting vehicles for drive to Pokhara-one of the most picturesque valley in Nepal, 125 mile west from Kathmandu and under the shadow of the Annapurna Himalayan range. A rare combination of snow-clad mountains, crystal clear lakes, streams, villages inhabited by friendly ethnic tribes. Over night at Hotel in Pokhara. After breakfast, packed lunch is carried (Optional as you can find good restaurant at Sarangkot) and start the pleasant hike to Sarangkot- the popular hilltop offering the superb panoramic view of the Himalayas. It's a hike to places within the rim of the Pokhara valley and walks to the surrounding villages offer captivating glimpses of rural life. Back to Pokhara. Overnight at the hotel. Morning board the flight to Kathmandu enjoying the mountain scenery and take enough time to go for shopping in Kathmandu or take a drive of approx 6 hours back to Kathmandu. Evening dinner followed by Nepali cultural program. Overnight at the hotel.